A Free Web Gallery with every Wedding I photograph. 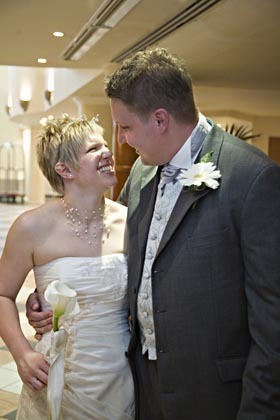 A private gallery of the photographs taken at your wedding for you and your guests to view soon after your special day. In the days after your wedding you can browse through the pictures at your leisure choosing your final selection for either Wedding Album or prints. You can share your Web Gallery with your guests and possibly friends and relatives who were unable to attend your wedding allowing them to share your special day. All Web Galleries are protected by a unique username and password allowing your and your guests to view your pictures over the Internet whilst also keeping your pictures private. Please Log In to view your gallery.